Home Kindergarten Lesson Plans 4 Community Helper Early Childhood Activities! 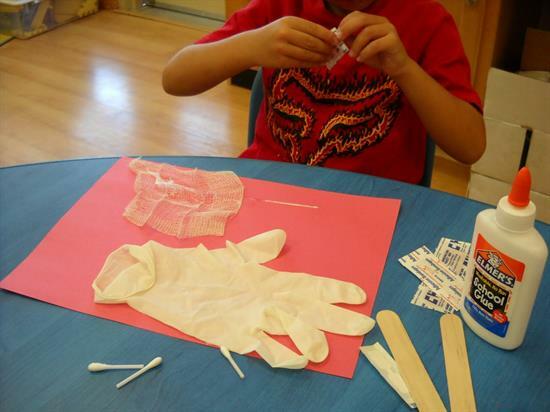 Add to your community helper unit with these wonderful early childhood ideas featured by Jessi over at Getting Messy with Ms. Jessi! She features the following crafts and activities that are sure to keep your little ones busy learning all about the helpers in your community. Provide each of your kiddos with a rectangle of black construction paper. At the top write "Stop," in the middle write "Slow" and at the bottom write "Go!" Place a small amount of red, yellow and green paint onto small paper plates and provide something for creating a circle (small fruit cup bowls would be perfect!). 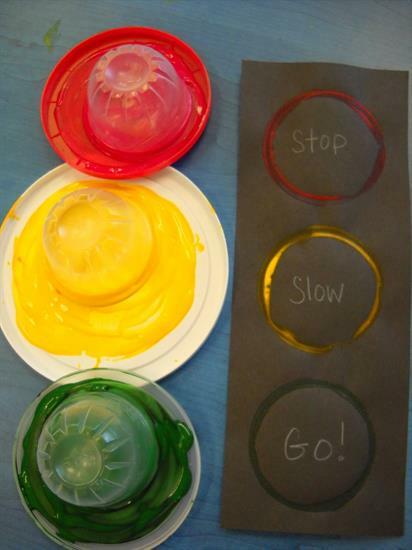 Have your class create their stoplights by encircling each word with the correct color circle. Follow up your stoplight craft with a stoplight dance! 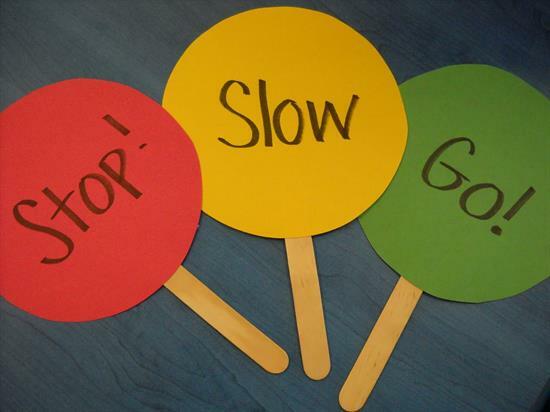 Create "stoplight" paddles using popsicle sticks and red, yellow and green construction paper. Play music and have your kiddos dance based on the paddle you're holding up. Dance freely when green is showing, dance in slow motion when yellow is up and stop in your tracks when red appears. This activity is sure to please your early childhood kiddos! After you spend time learning about the firefighters in your community, take a little time to create a 'fire'. 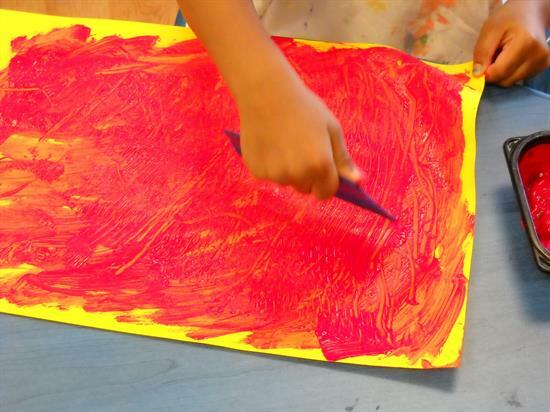 Give each of your kiddos a piece of yellow construction paper and a bit of red/orange paint. Have them paint their paper as fast as they think a fire would spread. Then have a little additional fun by giving your students paint scrapers to add a fun design. Have your class create healthcare collages by providing them with a variety of healthcare items. Think gloves, bandaids, gauze, tongue depressors, etc. What a great opportunity to then discuss the vets, doctors and nurses who provide care for all the people (and pets) in your community! For additional Early Childhood ideas, be sure to check out Getting Messy with Ms. Jessi! I have been working in the early childhood education field for 19 years! I love to create fun activities that incorporate all S.T.E.M. areas as well as art using new, old, recycled and loose parts.